NHL Rumour Report - NHL Trade Rumours and Speculation: Rumour Report: Stars blockbuster in the works? The Stars may be preparing for a major trade on the draft floor. Reports out of Vancouver suggest the Canucks and Stars are discussing a major move that involves three first round picks changing hands. As the rumour goes, Dallas would trade #3, #29 and a prospect for Canucks' #5 and Chris Tanev, the 27 year old defenseman that has drawn plenty of interest around the league. The Leafs are another team rumoured to have some level of interest in Tanev. The Stars, who lucked out in the draft lottery and are slated to pick third, have made it abundantly clear that the pick is available if teams can help them win now. Dallas has also considered moving the pick to Minnesota, who have put feelers out on defensemen Marco Scandella, Jonas Brodin and Matt Dumba. 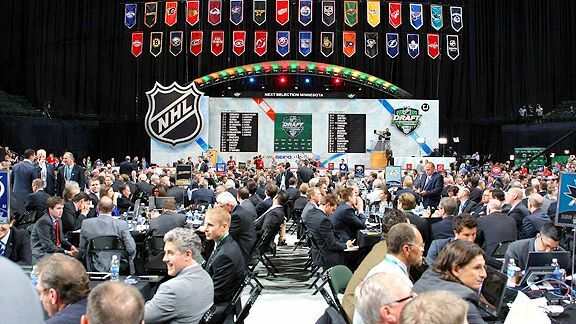 The Ducks are another rumoured possibility for the #3 pick. Even though they appear poised to survive the expansion draft without losing Sami Vatanen, the expectation is that they will still look to move him for the right price. There might be more first round draft picks traded this year than any other in recent memory. The teams with the top three picks in the draft have all been listening to offers, and Vegas is likely to acquire at least two more first rounders via trade. 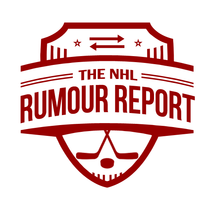 Stay tuned in the leadup to the draft with NHL Rumour Report on Facebook.